Recently, the American Fisheries Society developed standard methods to sample freshwater fish populations, publishing them in the book Standard Methods for Sampling North American Freshwater Fishes. This project was supported in part through partnership with the USGS Cooperative Research Units System, the US Fish and Wildlife Service, the National Fish and Wildlife Foundation, and eight other agency and private partners. Currently, the book’s final chapter includes summaries of growth, condition, length frequency, and catch per unit effort for fifteen of the most common North American fishes; averaged by ecoregion and rangewide and collected using standard gears. Protection and management of freshwater fishes will be enhanced by these data which will provide managers with baselines for examination of population trends, population health and other indicators. However, further work is needed – these data are inconvenient to access and use. We propose to develop a website and database that will accompany Standard Methods for Sampling North American Freshwater Fishes. This website will (1) have an online expandable database of standard sampling data for comparison, (2) provide an overview of the standard sampling project, and (3) serve as a repository of comments on the published standard sampling procedures, and (4) use the PHP-based Drupal framework to make it relatively easy to modify the web application to meet initial application needs and the needs that arise as users test and interact with the system. 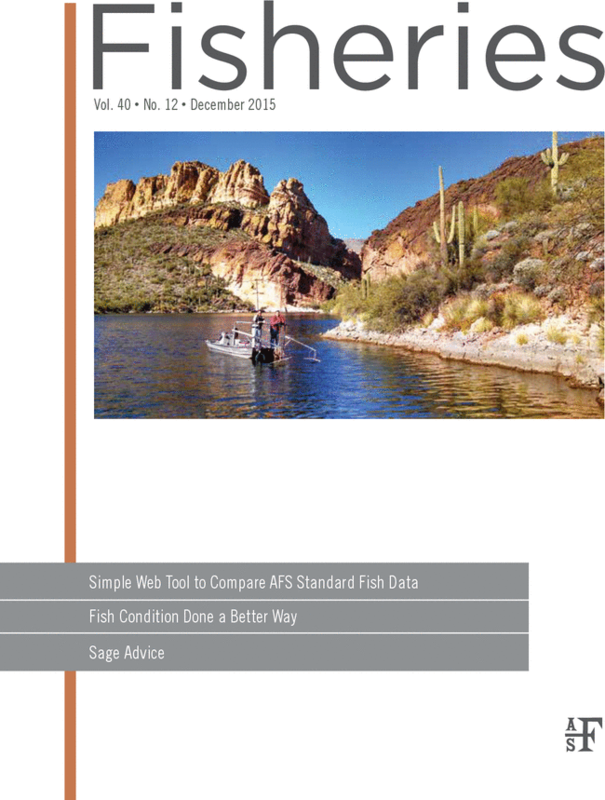 For the database, we will (1) provide on-line summaries of 4,092 data sets of condition, length-frequency, CPUE and growth indices of common freshwater fishes, collected using standard gears, from 42 states and provinces across North America, (2) allow entry of new data collected using standardized methods, so averages of commonly-used fishery indices can be updated in the future, (3) allow queries, graphical, and tabular output of the data summaries so they can be easily accessed and integrated into projects across North America. Users will be able to compare condition, growth and abundance of fish collected in a particular waterbody with regional and rangewide averages and percentiles, thus increasing resource information in a variety of areas. Generated broad-scale knowledge will be useful in the enhancement of fish habitat and populations on both public and private lands. This database can serve as a small demonstration project by USGS NBII, the USGS Cooperative Research Units and other sponsors, and will help demonstrate the usefulness of other larger efforts to provide continental fisheries data. Programming on the database is currently underway. Partners include AFS, NPS, and USGS.